A paraglider is an eliptical airfoil which uses leading edge ram air pressure to maintain its shape. What the?? 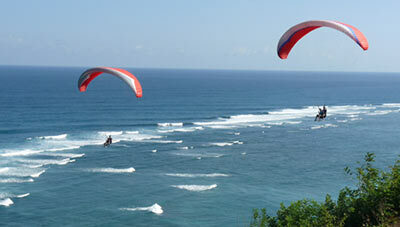 Paragliders are typically constructed of nylon or related materials. The nylon is specially coated to reduce porosity(to stop air going through the material). Here is a great image from the website: how stuff works. showing the parts of a paraglider. The risers(strings) are all critical in length to hold the wing in its required shape. Early gliders were squarer in shape and only had A ans B lines. 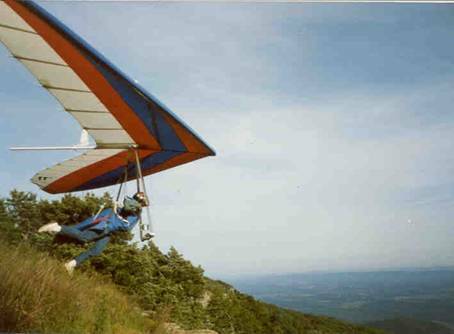 Here are some pics of flyers often described as paragliders(and what they actually are). 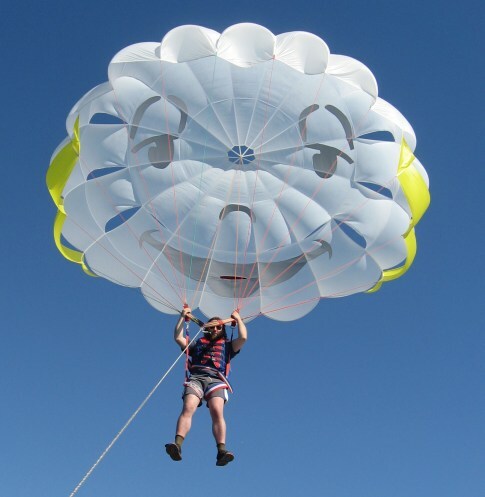 Though Paragliding owes its origins to this sport, paragliding has evolved away from the parachute. 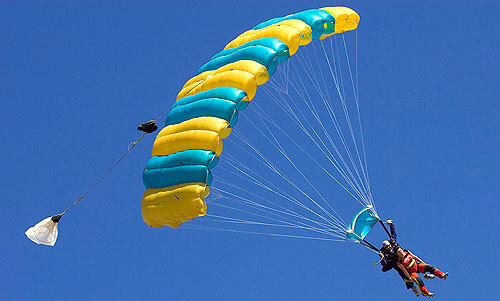 Parachutists rely on another aircraft to carry them aloft, then leaping into freefall before deploying the chute to arest the fall and control the descent. 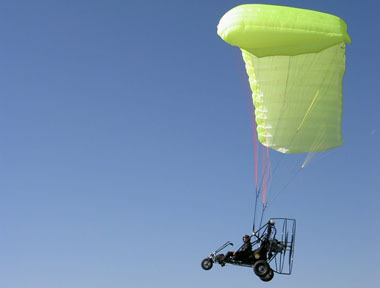 This sport also owes its history to parachutes, but relies on a tow vehicle, (boat or car) to remain aloft. The pilot has very little control of the aircraft. This is actually closer to paragliding than the others, as the aircraft depends on the airfoil of the wing to stay aloft. Naturally the engine works hard as drag is relatively high. Easily transported powered aircraft. And finally the real thing!